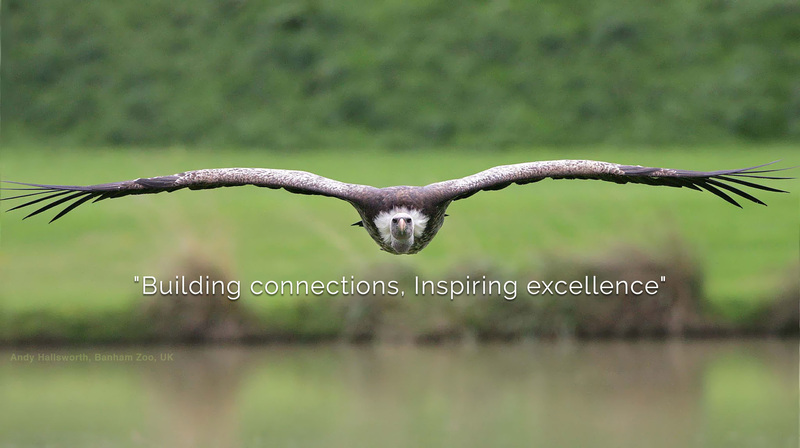 Connect with fellow avian professionals. Ask questions, get answers, support the professional community. 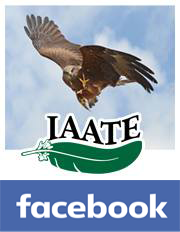 Since its inception IAATE has facilitated the exchange of information through a 4-day conference held annually in February. 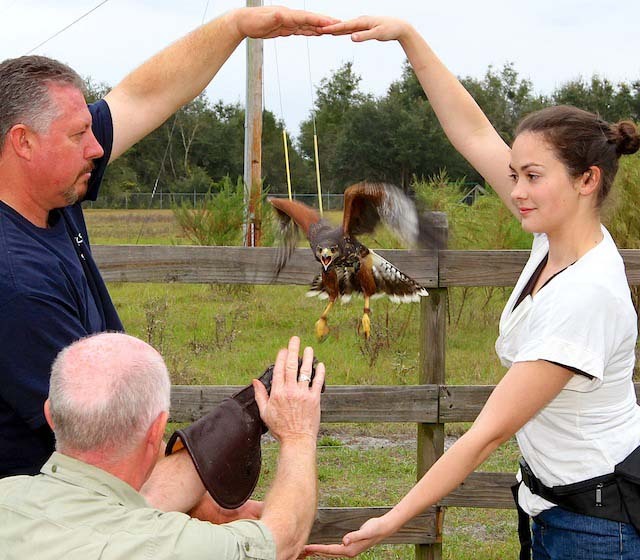 Foster communication, professionalism, cooperation among individuals serving Avian Science in training, public display, research, husbandry, conservation and education. 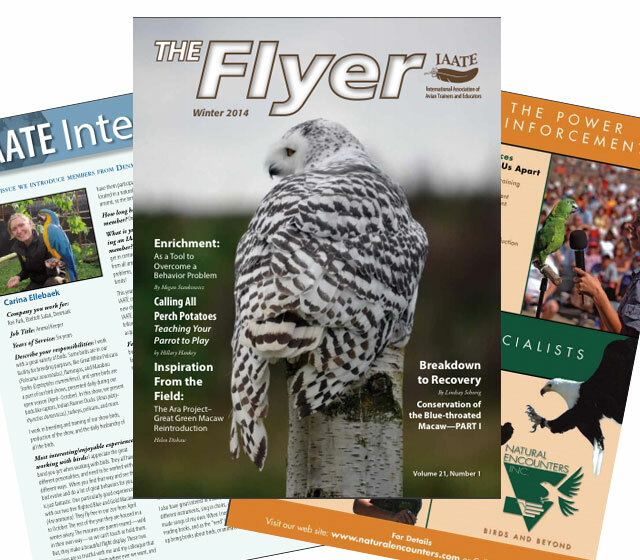 Our Newsletter Committee is always looking for articles for The Flyer. Get writing now! Learn the format, submission and guidelines. 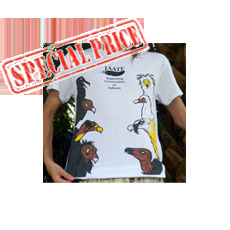 If you love vultures, help their conservation by purchasing one (or several) of our vulture shirts. 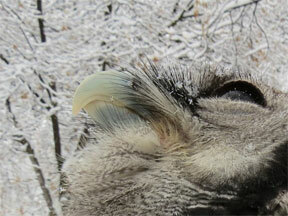 Help us help the birds who help our planet stay healthy! 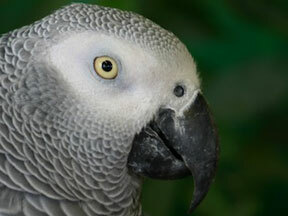 The mission of the IAATE Companion Parrot Committee is to collect and disseminate information on behavior and training in an effort to facilitate optimal care for companion parrots. 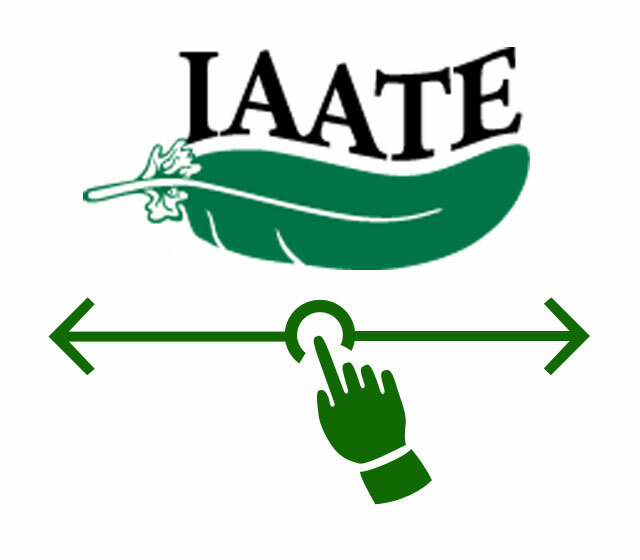 The IAATE Professional Development Committee (PDC) will provide a strong foundation for avian professionals to gain information and improve management and training of their birds to better present inspirational education programs. 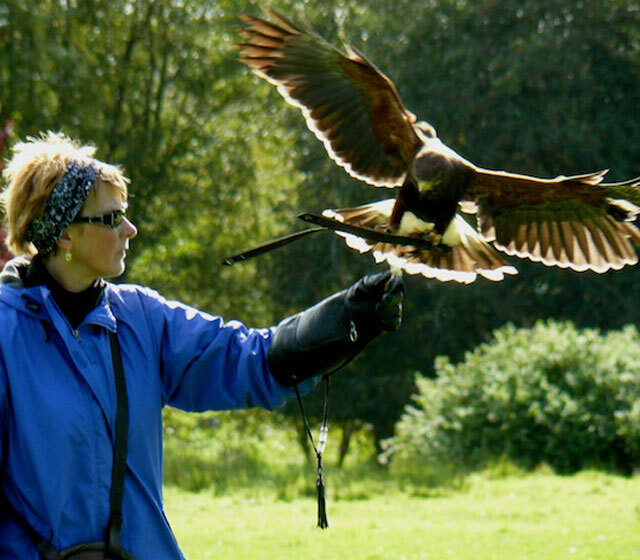 By sharing the most current information and practices in our community we will create the highest levels of care, training, show production and presentation, which will improve avian welfare and well-being. PDC provides many benefits for members. Click here to learn more.